Expert or beginner—doesn’t matter! 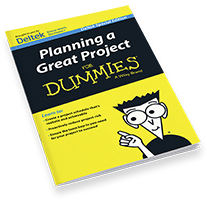 Look through Deltek’s tell-all Dummies offerings to get detailed insight on moving your project-based business to the next level. A project is a one-off event, a unique initiave that has its over very specific details. Those details - from email communications to contracts to design deliverables - are information, without which the project can't succeed. See how you can collect, organize, disseminate, and track all of that information efficiently and effectively. Risks are an everyday part of the life of a project. But with countless factors threatening both a project’s schedule and budget, how in the world are project managers and sponsors supposed sleep at night? The answer is effective project risk management. Whether you consider yourself a seasoned project professional or are just getting started, download this eBook for everything you need to know about proactively managing project risk. Take a closer look at today’s trends in resource management and discover how you can get the right people, on the right projects, at the right time to drive enhanced profitability for your business. If projects are your passion and if your revenues and profits are derived from projects, then Professional Services Automation (PSA) will help you to maximize your service business performance. This eBook will help your firm understand how the right PSA solution will keep your projects on track, and improve your bottom line. The components of a robust talent strategy are broad‐reaching, touching all facets of your business that involve people. 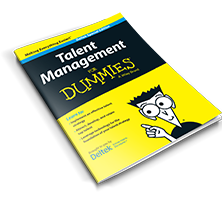 The talent war is on, but it isn’t too late to develop and implement an effective talent plan. This book details how an effective talent strategy can impact your company’s success. After all, a successful business is comprised of people, and people are the greatest asset. Learn more about project manufacturing and how to make the most of your processes and systems. You’ll get an introduction to the basic concepts of manufacturing, procurement, and material systems, and see how it all ties into other functions, such as finance, that are intended to serve project‐based businesses. Change happens, and these days it seems to happen more frequency and dramatically than ever. Organizations successfully change by integrating people, processes and technology seamlessly. This book offers helpful steps for ensuring that your people embrace change not because they have to, but because they want to. You’ve got the most powerful, up-to-date project planning and management tools. So why are projects continually behind schedule and over budget? The solution is in your hands! 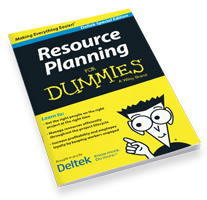 This helpful book spells out a five-part process for creating schedules that are well-formed, risk-adjusted, and optimized, leading to more realistic and achievable project plans. If projects are in your company’s DNA, you can benefit from this book! It doesn’t matter what your company builds or services – if your revenues and profits are derived from projects, this book explains the benefits of using a purpose-built ERP system to run your business. 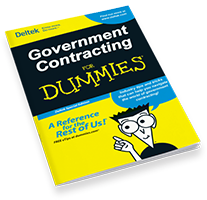 Explaining in detail how to do business with the government sector—from the big federal agencies to the tiniest Congressional commission—Government Contracting for Dummies offers the winning tips, strategies and resources you need to increase your win rate and be more successful in your contracting approach! IPM is an excellent approach for just about any organization whose existence revolves around landing and completing projects. 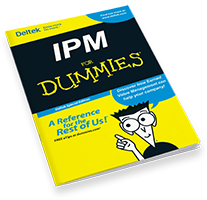 Read the IPM for Dummies eBook now and see how you can take program management to the next level, by providing structure and a common language for the entire team! Whether you’re a seasoned project manager, a project controls professional or an executive, Earned Value Management for Dummies will give you practiced advice on making your EVM journey successful—driving more successful projects for your entire organization!